If you’re a Blues mad family at Origin time, your kids will be keen to help show the flag in a Kids Vapodri+ Pro Jersey from Canterbury. This junior pro jersey features a replicated on-field 2018 design with all the bells and whistles, including embroidered team and sponsor logos. No genuine Blues supporting family would pass up the chance to deck the kids out in an exclusive Kids Vapodri+ Pro Jersey. This 100% Polyester jersey for ages 6 to 14 is the real deal, with a replicated on-field 2018 design and embroidered team and sponsor logos (minus the alcohol and gambling). And because it features our Vapodri+ fabric technology to keep them cool and dry for longer, they can wear it to training, to the game or just kicking a ball with their mates. 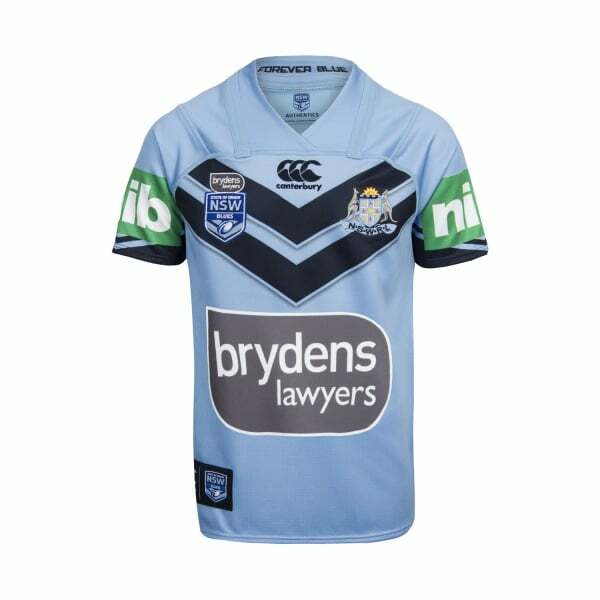 In fact, you’ll be hard pressed to get it off them come laundry day, so order yours now in the NSW State of Origin Team Replica 2018 catalogue from Canterbury.